The “cloud” is simply using the Internet to access shared computing resources. It’s changing the way we consume, share, and use digital information because it makes access to information and computing power easier, faster, more affordable, and under the right circumstances, more secure. When your information is in the cloud, you can access it from anywhere you connect online. You don’t need to carry it with you on a computer or build large data centers to store it. And you don’t need to manually update your software if it is provided to you through a cloud-based service. As a consumer, cloud computing provides easy-to-use applications and services, but you need to know your personal information and files are secure. As a business owner you need to understand the opportunities and risks of cloud computing, and how to make the move that’s right for you and your business. Finding the right security strategy can help you take advantage of the amazing potential for enterprises to control their data, maintain compliance and decrease costs. Regardless of the approach you take to cloud computing, you’ll need a solid security foundation that spans across all of your platforms – physical, virtual, and cloud. Aatreya began its own journey to the cloud with the development of the Smart Protection Network infrastructure more than one years ago. We implemented a cloud-based email reputation collection and correlation database. This was soon expanded to include web reputation checking, and later file reputation, to create a triad of global threat intelligence correlation. By providing more complete threat intelligence, faster threat detection and blocking, and smaller pattern file updates, Smart Protection Network has proved the efficacy of cloud-based protection for overcoming the volume and complexity of today’s threats. We select the best of breed SaaS (software-as-a-service) applications and cloud services that best match your needs, so you can start building your business without worrying about your IT. We can have your IT running in weeks for significantly less cost using SaaS applications and Cloud Services. We will select and configure the right cloud and SaaS solutions that can grow as your business does. We start with understanding your business and IT needs, while taking into account your future growth plans. We are experts in IT and the cloud landscape and can help you make the appropriate selections. Once the product selections are made, we configure the services to quickly make your business operational. Do you question whether your business structure should move to the Cloud? To fully capitalize on this new model, businesses need some clarifications before embarking on migrating an application to the cloud. What solutions are best for my business? How will I transfer my data to the cloud? Who will train my employees? What will be my cost? If I move from a capex to an expense situation as far as my IT investments are concerned, what will be the impact on my financial health? How does it affect my cash flow, profitability etc? How do I move my data and information across applications? How do I have a single sign-on? How do I change vendors? Will I be able to change vendors? How do I migrate my data? I like applications from two different providers and I want to run them both but will they interact? You can envision the return on investment, flexibility and quicker-time-to-market for your business, but you're still unsure how best to leverage cloud services. Then Aatreya Cloud readiness assessment is appropriate for you. At Aatreya, we understand that change can be overwhelming done alone, that is why we have developed a proven method to help ensure a successful implementation. This assessment quickly quantifies the value of the Cloud opportunities available to your enterprise including suitability, timing and the potential issues/benefits of moving your infrastructure and applications to the Cloud. There are four key areas of cloud usage and deployment. Each has got many sub-sets of applications. While there are many niche vendors addressing each niche area, the complexity grows manifold as businesses move from one application to another, from one device to multiple devices. Cost reduction, solving new business problems, and improving system performance are at the core of today's IT agendas. Recognizing how cloud computing can help you achieve these goals is the first step. We understand how to successfully migrate your apps to the cloud so you can reduce the cost of IT and provide more flexibility to the business. While there's lots to love about clouds, however, it's less clear which parts of cloud computing enterprises should embrace. Should we move in-house applications to pay-as-you-go software-as-a-service (SaaS) providers? Should we use third-party storage? Which parts of our web presence belong in the cloud? Can we leverage the elasticity of the cloud for testing or training? Clouds bring with them new concerns, too. Reliability, performance, and security are real concerns, and there may be legislative restrictions on how they're used. Avoiding cloud lock-in—so you can quickly move from provider to provider—is also important. And different clouds offer different sets of services, so which one you choose depends on what you're trying to do. Cloud computing is the biggest shift in IT in the last twenty years, and it's something companies can't afford to ignore. But it's also confusing and complex. Which is where Nexright comes in. Aatreya Cloud Migration Services help organizations find the right balance of in-house and on-demand IT to maximize their performance and agility while maintaining security, mitigating risk, and minimizing costs. Aatreya helps clients reduce IT expenses by helping them migrate their expensive, inefficient legacy platforms, applications and software onto third party cloud-hosted solutions from Amazon Web Services or Google Apps for Business. IT discovery Following a well-defined interview process, we review your existing IT assets and identify those elements that are suitable for migration to the cloud. Depending on the engagement, Aatreya may also help you to build business cases and pricing estimates to make the case for cloud migration. Migration planning We work with your IT staff to plan the migration of those elements. This includes connecting in-house components to the cloud through secure gateways, scheduling the migration, establishing monitoring tools, and selecting the optimal cloud resources for your business. Migration execution Working alongside your IT teams, we migrate the resources into on-demand platforms. This may be as simple as moving virtual machines into infrastructure clouds, or as advanced as migrating legacy data into large, distributed cloud storage. Monitoring With the cloud systems in place, we configure monitoring tools and establish baselines that will verify the improved performance and availability, show you how your cloud-based resources are being used, and provide detailed activity reports to verify billing. Periodic evaluation As new cloud offerings emerge and your organization finds new ways to use cloud computing, we periodically revisit the cloud migration service plan and determine whether there are new opportunities to optimize your IT. Aatreya hands-on experience with cloud offerings is unparalleled. We work closely with leading Cloud operators and the latest software tools, providing expert guidance and avoiding the many pitfalls in this exciting—but rapidly changing—landscape. Integration that easily connects any combination of Cloud applications with virtually any on-premise applications without any software or hardware to install. Purpose-Built Cloud Integration Application & Data migration Diagram any cloud integration common images ? Choose the right path forward to enable your organization's evolution. Align Business and IT: Faster time to market, improve customer Experience. 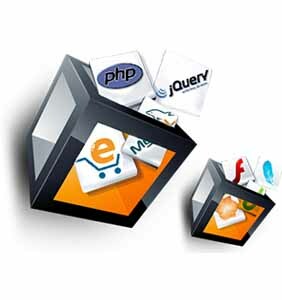 Increases efficiency by removing the intensive process of custom development. Create the backbone to support on-demand customer use and self-service by allowing fast and easy access to your rich portfolio of innovative applications and services. Combine the use of open source solutions with the flexibility of a cloud environment. What if an employee of our cloud provider accessed the asset? SaaS(Software As A Service) provides the most integrated functionality built directly into the offering, with the least consumer extensibility, and a relatively high level of integrated security (at least the provider bears a responsibility for security). PaaS(Platform As A Service) is intended to enable developers to build their own applications on top of the platform. As a result it tends to be more extensible than SaaS, at the expense of customer ready features. This trade off extends to security features and capabilities, where the built-in capabilities are less complete, but there is more flexibility to layer on additional security. IaaS(Infrastructure As A Service) provides few if any application-like features, but enormous extensibility. This generally means less integrated security capabilities and functionality beyond protecting the infrastructure itself. This model requires that operating systems, applications, and content be managed and secured by the cloud consumer. Nexright will help you assessing confidentiality, integrity, availability and SLA requirements for the provider and how those are affected if all or part of the asset is handled in the cloud. 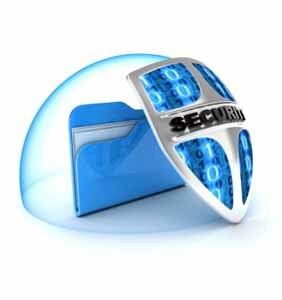 We can also help you in cloud security integration as well as custom solution development in following areas.